Can you believe that your Kids while playing could generate a clean and renewable energy? It doesn’t seem to be a realistic proposition as we till date hasn’t come across that technology. Thanks to Jessica Matthews , who has founded a Uncharted Play to solve the problem of power cuts in developing countries by harnessing the kinetic energy in sports. Nearly 1.2 billion people around the world lack access to reliable electricity. That’s almost one fifth of humanity. When people don’t have access to electricity, they have to rely on dirty or dangerous energy sources like kerosene lamps and diesel generators. Lack of electricity access has been linked to lung cancer and disease, perpetual poverty, low rates of education, high rates of infant mortality, and greenhouse gas emissions. As per their site, Uncharted Play was founded in May of 2011 as a new kind of social enterprise grounded in play and the happiness of life that would show the world how play could be a tangible tool for inspiring social invention. The Uncharted Play dream began in 2008 when Jessica O. Matthews was a junior year at Harvard University. 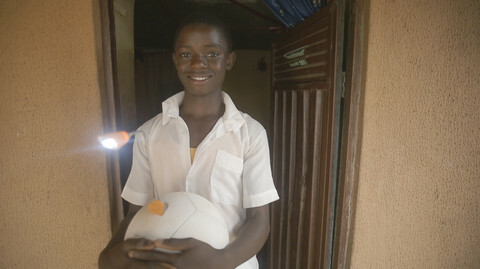 While studying to be a social scientist, with no experience in engineering, she worked on a class project to invent the SOCCKET, an energy-harnessing soccer ball. Through this experience, Jessica realized that the world of play was truly uncharted territory when it came to tangibly addressing real issues facing society. Though the future was uncertain, she knew that an enterprise grounded in sustainable, realistic solutions for happiness had real value. Finding she had an undeniable passion for social entrepreneurship, Matthews continued on with the mission after graduation from college, setting up shop in the Tribeca neighborhood of New York City. Matthews built an enthusiastic team to further develop the dream of creating an organization that would prove that doing good and having fun need not be mutually exclusive. Matthews was inspired for this initiative by a visit to relatives in Nigeria. When the power went out, they would resort to dangerous kerosene lamps to keep the lights on. Her cousins just accepted it as part of everyday life. Uncharted Play makes play products that generate clean, renewable energy when you use them. Under ‘Play To Give’ initiative, With every purchase, Uncharted Play gives one child access to their energy-generating play products and their Think Out of Bounds curriculum. Soccket and Pulse - How does it works? 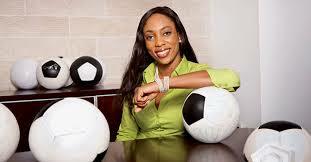 The company has released two products - the "Soccket," a soccer ball, and the "Pulse," a jump rope. Both generate power through kinetic motion. So when kids play soccer, challenge each other to a round of double Dutch or just absentmindedly kick a ball around a bit, they're creating enough power to turn on a small appliance. The jump rope is the more recent invention. The team wanted a way to engage more kids, ones less interested in kicking a ball around in a big group. The jump rope is also easier to use indoors. Keep Playing Even After the Summer Ends! Take advantage of their free shipping offer for all SOCCKETs and PULSEs ordered. Visit their online store at Uncharted Play to learn more! The generator provides excellent power. About thirty minutes to an hour of play can power the company's single-LED lamp for three hours, while the same amount of play can power a three-LED version for one to two hours. Other accessories are planned, but this tech won't be powering entire homes. Jessica Matthews thinks for a future in which national grids are supplemented by everyday objects while playing. Each moving object has got some amount of kinetic energy which can easily be utilized for generating usable electricity, just by moving them around. As per IBTimes, the company also partners with corporate sponsors to distribute their products around the world. But in the future, it will shift toward working with third parties to get the company's power-generating technology into other products, rather than make the products themselves.